We are pleased to announce that Dr. Geoffrey Fox will receive the annual HPDC Achievement Award for his foundational contributions to parallel computing, high-performance software, the interface between applications and systems, contributions to education, and outreach to underrepresented communities. Dr. Fox received a Ph.D. in Theoretical Physics from Cambridge University where he was Senior Wrangler. He is now a distinguished professor of Engineering, Computing, and Physics at Indiana University where he is director of the Digital Science Center. He previously held positions at Caltech, Syracuse University, and Florida State University after being a postdoc at the Institute for Advanced Study at Princeton, Lawrence Berkeley Laboratory, and Peterhouse College Cambridge. 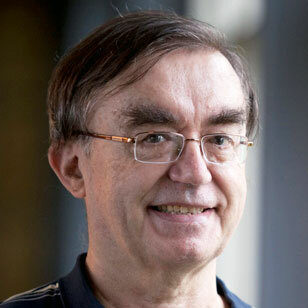 He has supervised the Ph.D. of 72 students and published around 1300 papers (over 500 with at least ten citations) in physics and computing with an hindex of 77 and over 35000 citations. He is a Fellow of APS (Physics) and ACM (Computing) and works on the interdisciplinary interface between computing and applications. The award will be presented at HPDC 2019 in Tempe, Arizona, where Dr. Fox will deliver a keynote address.